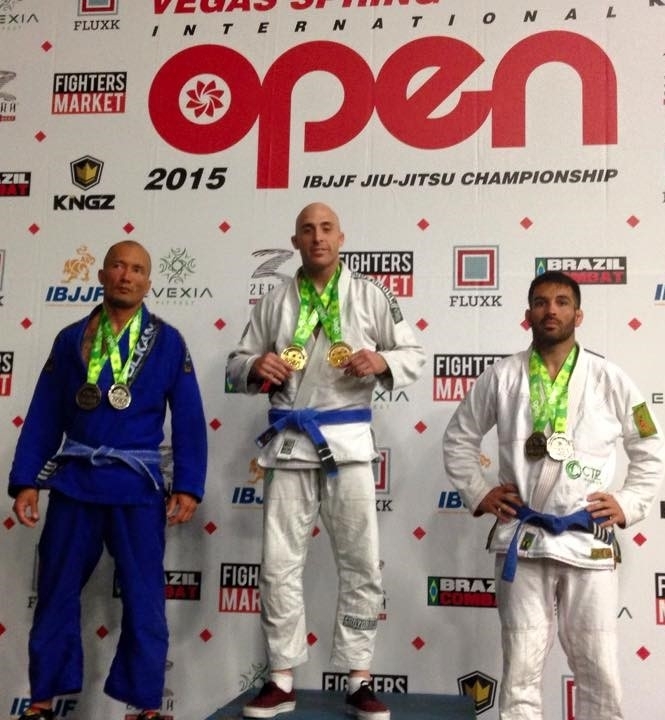 Interview with blue belt David Johnson of San Antonio TX about his path to the Master’s worlds. David Johnson (a BJJr that trains diligently in San Antonio Texas at Pinnacle MMA) is one blue belt with all the potential in the world and then some. Last year he seemed to have dropped out of the sky, won his division at Pans and then you just knew if he would be competing in a tournament, he would dominate. Master’s Worlds is only a few months out and it’s time to check in with David Johnson to see how has progressed over the last year. BJJL: How have you grown over the past year? Johnson: I feel more confident with my technique. I feel like I’m able to play my game, and relax. BJJL: You went back to Pans this time around and the results were not the same, what was different about your performance this year vs last year? Johnson: Last year was my second IBJJF tournament and I was like I’m just going to go out there and do my thing. This year I honestly have no one to blame but myself. I went in with a game plan that I was going to play it safe and conserve energy. It was the worst mistake I’ve ever made in a tournament. I ended up losing my first match to someone I’ve beaten 3 times prior by penalties. I will not make the same mistake again. BJJL: What is your training regimen like? Johnson: I train 6-7 days a week. I spend a lot of time watching and analyzing matches and watching technique videos. 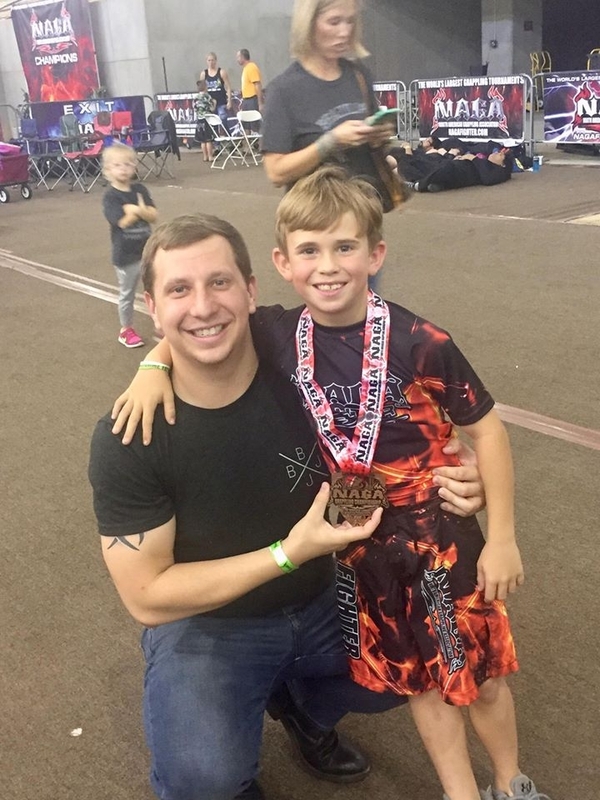 BJJL: You have a full time job (Active Duty Military, Dad,…Husband) and train just as much as time allows, do you feel you are as prepared as those that do nothing but train as their full time job with nothing but their training to worry about for competitions? Johnson: I never feel like I train enough. I wish I could do this full time, but I have obligations. I have a family to take care of and spend time with. I can’t be selfish. BJJL: You were not able to compete in Master’s Worlds last year… Are you ready with all that you put forth day-to-day? Johnson: It was very unfortunate that I couldn’t compete last year at Master’s Worlds. I had military obligations that prevented me from doing so. This year’s tournament can’t come soon enough. It’s the culminating event for the year and the one that means the most to me. Winning gold in my division isn’t enough. I want double gold! Fresh off of wins at American Nationals (Double Gold) and the Austin Open (Gold) I have no doubt that David Johnson will walk away with just that. The question any individual should ask themselves when setting goals is whether those goals are realistic? You can set a goal however, be realistic about the objectives you have in mind. David Johnson is one BJJ aficionado that goes out there and puts it all on the line. His fervor sets him a cut above the rest and makes what he is doing vastly different from those in his division and why he succeeds time after time. Michael Jordan is 1 in a million and as far as comparisons go, there are none. When making your own way in a sport, admiration for an athlete that accomplished amazing feats is common. The question for athletes that want to stand out is do you want to be compared to someone or do you want to be the comparison? If you are taking the time to attend BJJ classes 2 to 3 times a day and attend seminars, camps, or pay top dollar for privates from the best of the best your goal is clear. You don’t want to be the next anyone but the FIRST you. If you have the potential and are on your own path, make your imprint. David Johnson is CLEARLY making his. A Very Special Thanks Goes out to Eleani Johnson for all the love and Support You Provide.